IWE qualified and ready to deliver value to our members! 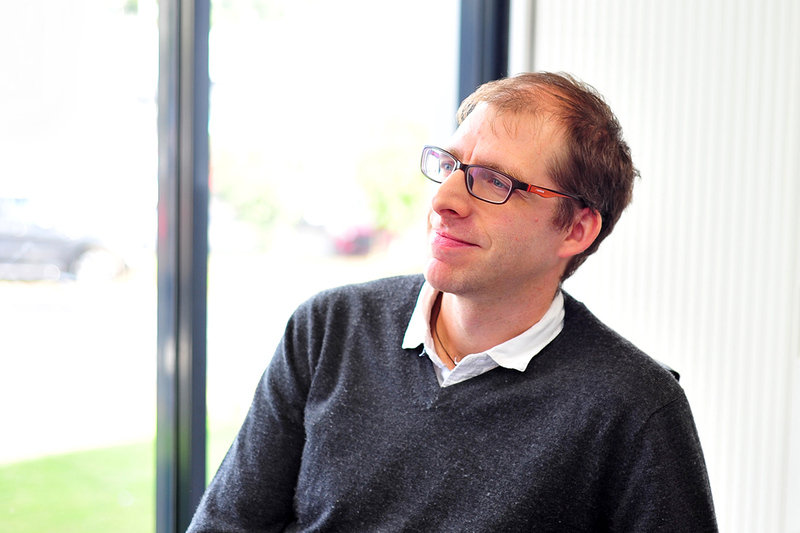 Having spent the last 14 weeks cramped behind a school desk in Germany, our Research Engineer Holger Heinzel has successfully returned as a qualified International Welding Engineer (IWE)! Join him as he shares his experience. After some intensive study I now join the ranks of our General Manager Welding Centre Dr Michail Karpenko and Director Emeritus Dr Wolfgang Scholz who are amongst only a handful of people in New Zealand with this IWE qualification. Held at the Welding Research and Education Institute (SLV) in Munich, the course covered welding materials and processes in detail. It provides a solid understanding of the engineering process required to achieve reliable and cost-effective welded connections. They’re skills I’m certainly excited to put to practise by assisting our local fabricators in their quest to succeed. Our newly IWE qualified Research Engineer after with his certificate from his hand over ceremony. 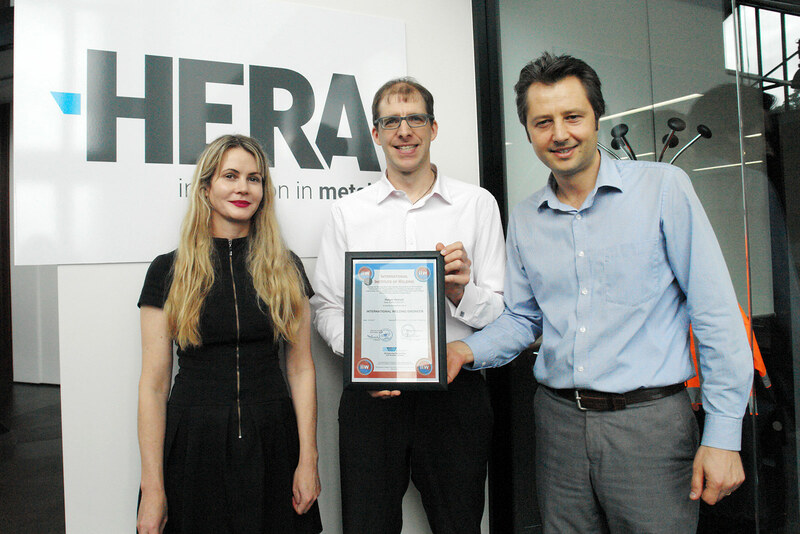 Our CEO Dr Troy Coyle, newly IWE qualified Research Engineer Holger Heinzel and General Manager Welding Centre Dr Michail Karpenko. While working on various research projects at HERA – most recently AGGAT, I’ve always been closely related to the activities of our Welding Centre. So, when the opportunity came up last year to join this team, I was pleased to take-up the offer! However, having graduated as a mechanical engineer from the University of Stuttgart a while back, I knew my knowledge of welding needed a bit of a shakeup to fulfil the high demands of the role. Based on the positive experiences of Wolfgang and Michail within the German education system and my own family links there, I was fortunate enough to attend the full-time SLV course. 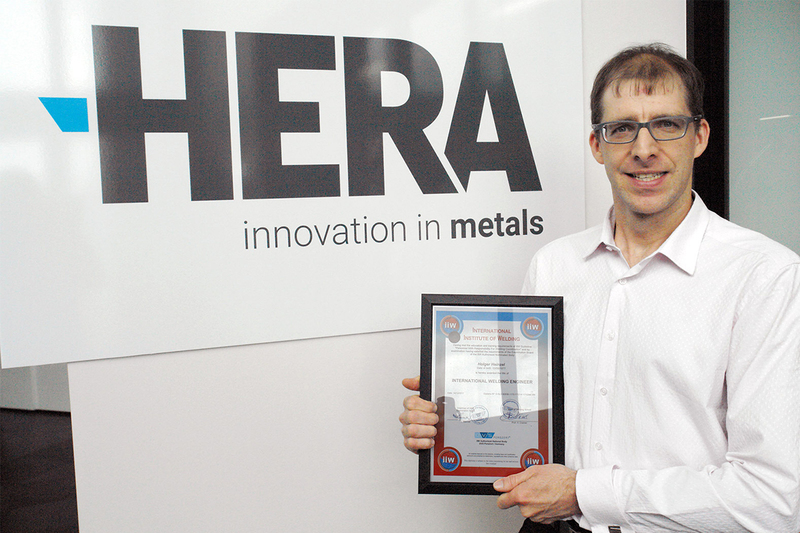 It’s underwritten by the International Institute of Welding (IIW) – the same organisation that endorses our own welding supervisor and inspector qualifications here at HERA. This level of qualification is required by many international standards as a mandatory key piece of a welding fabricator’s quality assurance system such as ISO 14371, ISO 3834, EN 1090, and European Pressure Equipment Directive 2014/68/EU. So not surprisingly, I was one of about 25 other budding welding engineers taking this journey. Where we were taught everything there is to know about the art of welding. With written exams taking place every two to three weeks there wasn’t much time left to take in the attractions of the city. After the final oral exam, winter had come and snow was covering the South of Germany. Making a perfect setting for a glass of hot mulled wine at a Christmas market to celebrate a job well-done! Now that I’m back, I’m looking forward to bringing this technical expertise to our metals-industry to better inform projects. How does this help our membership? At HERA, we believe keeping our team up to date with the latest in welding techniques, standards and quality assurance programs is essential, especially when it comes to upskilling our next generation of welding professionals. Our General Manager Welding Centre, Michail Karpenko, noting Holger has worked extremely hard on his training. “It’s a real credit to his determination and commitment to service our industry, and I know he’s keen to start applying what he’s learnt while it’s fresh in his mind!” he said. As a result, Holger will have a greater involvement in the upcoming welding inspector and supervisor courses. He’s also happy to help with any welding enquiries. A benefit our members can take advantage as part of our Welding Centre consultation services. This will particularly interest those in the pressure equipment or structural steel industry where weld performance is critical. Put these newly gained skills to use! Holger can’t wait to turn theory into practise, share his experiences about the Welding Engineering diploma, and pass on his knowledge at our welding supervisor and inspector courses. If you’d like to know more about any of these feel free to email him – get his details here.